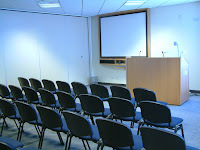 At least as important as a general knack for public speaking, is the ability to deliver a persuasive presentation. Business leaders are regularly called upon to inform and enlighten (among others) employees, clients, and prospective investors, and the ability to convey one’s ideas successfully to a wide variety of stakeholders is a hallmark of exemplary leadership. The most important guiding principle is to know your stuff; if you have done your research in advance and know the topic you’ll be discussing inside-out, you’ll be able to both cover the essentials, and readily respond to questions and comments from the audience. That said, it sure helps to know what sort of people you’ll be addressing. Familiarize yourself with the audience. 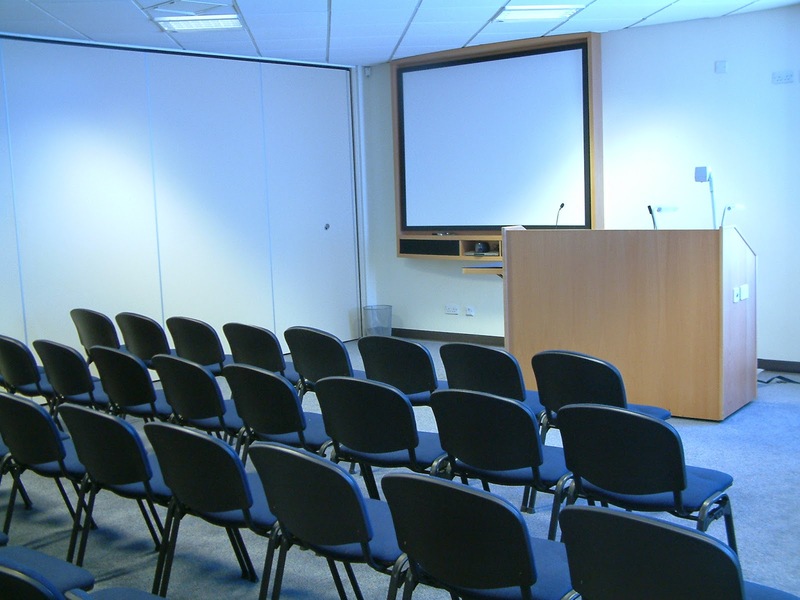 The best presentations take shape well in advance of a speaker’s scheduled appearance. Ideally, not only should a presenter be physically ready (i.e. well rested, nourished, and properly equipped); s/he should also have conducted a reasonable amount of advance research into the audience. What are the wants and needs of the people who will be listening to you? What are their priorities? What are they optimistic/anxious about? What information will they be most interested to hear? If you’re a presenter who likes to sprinkle in the odd joke, what sort of humour do you think will elicit a favourable response from this crowd? Your immediate priority should be to grab your audience’s attention. If necessary, introduce yourself and establish your qualifications. But keep this preliminary step brief (one or two sentences), and then get right to the point. Once you have captured the attention of the audience, your next challenge is to maintain it until you’ve finished. Inexperienced presenters often make the mistake of bombarding viewers with information in large tranches, rather than breaking it down into digestible fragments that leave listeners a moment to process what they’re hearing, and try to reconcile it with their pre-existing views. A strategy that works fairly well is to partition major concepts with quotes, either from inspirational figures, or from experts in a field of knowledge that is relevant to the content of the presentation. Quotes can also be used as evidence or testimony that reinforces the message you hope to convey. However, not all questions are useful. Avoid loaded questions unless they contain a misconception you aim to dispel; for example, “How many of you think sports cars are fun to drive?” already suggests a reply. Queries with obvious answers will also tend to nullify the participatory effect, since few members of the audience will need to actually pause and reflect before responding. Cherokee novelist Thomas King wrote “The truth about stories, is that that’s all we are.” Indeed, human civilization is built on them. The bulk of the collective knowledge we have at our disposal—from scientific theories to news, history, literature, and the arts—take the form of stories, conveyed through a vast array of media and languages, that have evolved and been modified over time. With that in mind, it should come as no surprise that one of the most effective ways to engage an audience is through narrative. Financial advisor Suze Orman, a denizen of the cable networks, likes to recount her personal rags-to-riches journey during her speeches, which has the added benefit of establishing her credibility as a surmounter of major financial obstacles. Alternatively, your story could offer a description of an experience you had, an account of a significant historical event, or the anticipated result of a policy change you advocate. In any case, choose a narrative that is relevant to the topic at hand, and that is likely to resonate with your audience. I totally agree that knowing that, it must are available as not surprising that among the most best ways to get involved an audience is with narrative. Economical consultant Suze Orman, a denizen on the cord sites, likes to recount her individual rags-to-riches journey during her speeches, which has a further benefit of starting her trustworthiness for a surmounter of big fiscal road blocks. Great service to promote your app - https://cpimobi.com/. However, your scenario could offer you a explanation of any encounter you had, a free account associated with a significant traditional celebration, or maybe the envisioned reaction to a policy transformation you supporter. No matter the reason, pick a story that is definitely highly relevant to this issue at hand, and that is more likely to resonate with the viewers.